WomanAstro | "Women hold up half of the sky." The most widely received tweets I post on Twitter (@WomanAstronomer) are obviously about women astronomers, particularly historical. People want to know about them. They want to know who they were, what they accomplished, and why they mattered. That’s a lot to know about someone, especially someone hidden by history. But science needs female role models. The day before Christmas, I pulled up my WomanAstro calendar to see who to share on Twitter. Flora McBain Saddler (1912-2000), a googled name added to my list, previously shared, but not recently researched. I wikied her. No Wikipedia entry. Always disappointing. I know most academics aren’t particularly fond of Wikipedia, but it’s an easy search for the public and the record should be complete. It takes time and a good deal of searching sources to write about a woman astronomer – deciding validity, determining facts, finding an image, reading a lot, googling some more. Wikipedia is easy, and relatively reliable. It’s discouraging when I stumble across another WomanAstro who hasn’t been given her Wikidue. I thought I would write about Flora here, put together a little bio. At least that’s how this blog started out. Flora, a Scottish woman born of limited means – her father a cart pusher, her mother a maid – obtained a physics and mathematics degree in 1934 from the University of Aberdeen where she later worked as a researcher and lecturer. A solar eclipse trip to Siberia in 1936 ignited her interest in astronomy. Flora, a Scottish woman born (brothers, sisters?) of limited means – her father a cart pusher (name? had to look up “carter”), her mother a maid (name?) – obtained a physics and mathematics degree (why these subjects) in 1934 from the University of Aberdeen (archives? ), where she worked as a researcher and lecturer (archives?). A solar eclipse trip to Siberia in 1936 lit her interest in astronomy (why did she go?). There was still so much to learn about her. In one reference, Flora was described as “a thin quiet, unmarried woman who smoked a good deal. She was somewhere in her forties.” Her sudden marriage to Donald Sadler was also described as “a sensation.” Most intriguing. And no photograph of her to be found either. That’s as far as I got. I saved Flora for another day. Christmas was coming, and I had spent too much time on research, so I didn’t tweet anything. I should have. The day after Christmas, Mary Somerville (1780-1872) was born. Widely known, she does have a Wikipedia page. Easy tweet. 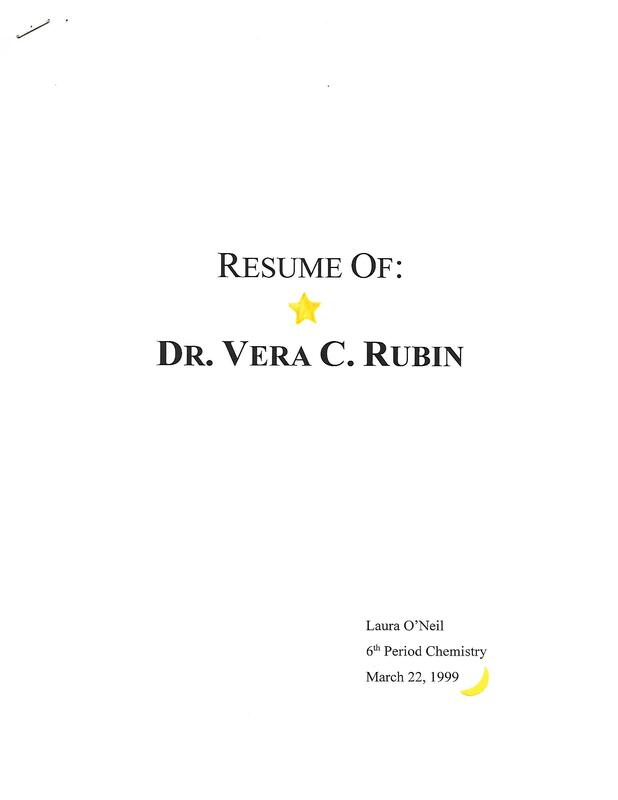 The summer 1998 issue of theWoman Astronomer newsletter also ran a feature story about her. I pulled out a copy. Serendipity struck on the front cover. At the bottom of the page, an article on how to research “the elusive woman astronomer.” As I read the article, my Twitter feed began to rush by like a raging river. I put aside Somerville for another day. Such a sad day. Such a loss for science, for astronomy. Such a loss of a graceful mentor, smart scientist, role model, mother, all the people a woman can be. And, sadly, the loss of her due, a Nobel Prize. I checked my files for Vera. No file. I knew somewhere in my vast collection of “To Be Filed” was an old letter from a student who had sent a copy of her report on Vera. I wonder if this student knows Vera died. I wonder how much this report influenced her life choices. Is she an astronomer now? Was Vera the role model that set her life in a new direction? I should do some research. Another day. Back on Twitter, the most endearing posts about Vera were personal. People shared their anecdotes of her, their pictures, and the ways she influenced their life. It was heartwarming to see how much she meant to her community, what she gave to science, and why she mattered. Vera’s Wikipedia page updated the day she died. I have no doubt there will be plenty of research, articles, maybe a new book written about this remarkable astronomer. In the meantime, Flora deserves her page in history, too. Dava Sobel has done it again! Sobel’s latest book, The Glass Universe: How the Ladies of the Harvard Observatory Took the Measure of the Stars, eloquently reveals the little-known story of the “women computers” at the turn of the 20th century. Tasked with cataloguing approximately 500,000 glass photographic plates and the millions of stars upon them, the computers were underpaid and overworked. And they were thrilled to do it for the science they loved. Sobel’s book isn’t a typical woman astronomer biography. Instead, this is the “computers” story interwoven into the history of Harvard Observatory and its work with the Henry Draper Catalogue, a memorial funded by his widow to complete work halted by his untimely death. Filled with anecdotes of astronomers’ daily lives and the pursuit of the science of their passion, Sobel transports the reader to the Gilded Age and a new era in the study of stars. Sobel’s book offers a taste of that time. 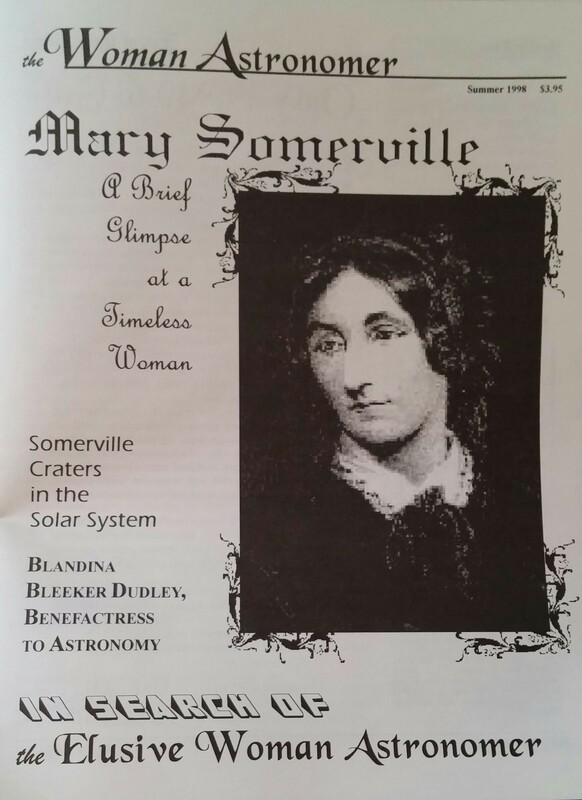 With subtle nuances of Victorian-laced quotes from diaries and letters, as well as Sobel’s own style, readers will enjoy a firsthand experience working with the women computers in the Brick Building, exploring new technologies in astronomical observation, locating better sites for bigger telescopes, and sharing in the discoveries that opened the Universe. This book offers something for almost everyone, from novice to aficionado. Though it’s a history of science, astronomy concepts are succinctly and simply explored without being dumbed-down. The reader will embark on a fascinating journey of discovery during a time when technology grabs hold of humanity. With a peek into the personal lives of the women who helped lay the bricks of our current understanding of space, readers share in the challenges women encountered to get where we are today. The Glass Universe is wholeheartedly worthy of your time spent reading, and certainly deserving of space on your bookshelf. Not all the stories of the women computers, and other women astronomers, have been told. There are many more, tucked away in dusty archives at public libraries and universities, sitting on shelves or hidden in boxes, waiting to be found and shared. It’s just a matter of time and, hopefully, inclination. As a final note, I hope Hollywood takes notice. I’d love to see this story on the big screen. Interested in buying this book? Please consider supporting our website by clicking on the image to the left where you will be forwarded to our Amazon store. Thank you so much! Since we’re counting down to Valentina’s Day, I thought I would highlight Tereshkova’s comrades, of which there were only three as of November 2013. Oh, wait! Did a quick check online and there are a total of six cosmonauts as of September 2012, according to NASA’s Women In Space page. More checking and I came across the Smithsonian’s Air and Space magazine with an article (link below) about Elena Serova published September 2014. It states that Elena was the fourth cosmonaut. So which one is right? 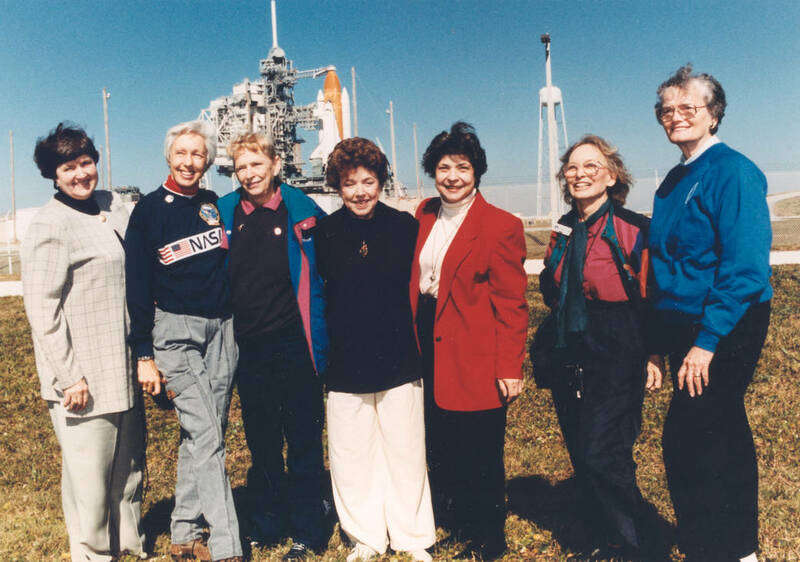 Who are the other two women listed on the NASA site? And there’s two ways to spell Serova’s first name? It’s a #WomanAstro history mystery. I run across this all the time when I do research on the internet. Unfortunately, it’s where today’s youth goes for their information. If I get befuddled by what I find, I can only imagine the challenges for young girls interested in space. What about women’s history in other scientific disciplines? I’m not sure I want to know. And we’re back to three (because it’s getting late). I’ve provided three links for each. I hope you enjoy! Svetlana Savitskaya, Wikipedia; Stevlana Savitskaya, New Mexico Museum of Space History; Svetlana Savitskaya, AstroChix.com. So that’s how it goes for today. I’m obviously doing this by the seat of my pants and it is full of surprises. I haven’t studied astronauts/cosmonauts as I have women astronomers, so a lot of this is new to me. And in case you didn’t notice, not a lot of planning went into this. Okay, I didn’t plan anything. I just jumped right in. Sometimes that’s what you have to do. Yesterday you were invited to celebrate the First Annual Valentina’s Day to commemorate the accomplishments of #WomenInSpace. I shared the invitation on Twitter, and the Twitterverse exploded! 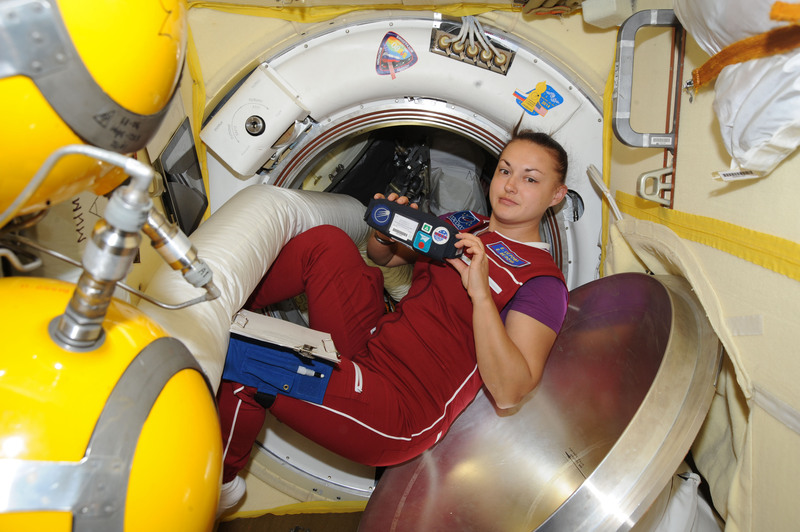 No, not because of Valentina’s Day, but because #GirlsWithToys was trending. This lively hashtag resulted from an interview by NPR with Shrinivas Kulkarni, a California Institute of Technology professor. Apparently it is “fashionable to admit it” because women scientists from many disciplines posted plenty of pictures to prove it. After seeing them, I have great hope for the future of women in science. It’s just a shame though that it takes getting their lab coats in a twist to get the respect they earned. As for The Mercury 13 from yesterday’s entry, they certainly didn’t get what they deserved, to fly to space. Let’s not forget who they are. To commemorate them in this blog, here’s the list of these incredible women from Wikipedia. Notice anything? Only six have their own entry in Wikipedia. If you go to the pages that do have a link, there’s missing information. When I research women’s histories, sometimes it feels like I am watching their stories fade into the sunset. There is still so much work to be done. And that’s why we need Valentina’s Day! Women in science do not get the recognition they deserve, nor do girls get the role models in science they need. Let’s change that! P.S. – For your convenience, I googled the missing women. I’ve linked to sites I found interesting and hope you do too. Enjoy! As I pack my books in anticipation of moving next month, I realize what a great collection I have. My dear tomes live on two tall bookshelves, five shelves each. One bookshelf is dedicated entirely to science fiction, a lot of which I still need to read; the other holds my non-fiction. I thought I would share with you some of my favorite books about the science I love so much as a way to ignite the astronomy bug for those who may not know where to start. If you are a novice to observing, one of the must-have books is The Messier Album, written by John H. Mallas and Evered Kreimer. First published in 1978 by Sky Publishing Corp (they also publish Sky & Telescope magazine), this book had its fifth printing in 1994 and now is only available from Amazon.com used resellers. Why would I cherish such an old book about the Messier objects when there are newer ones with prettier images taken by bigger and better telescopes? I’ll admit I’m a little sentimental about this book, my primary reference when I first observed the glorious gems of the northern hemisphere. Night after star-filled night my little tome sat by my side during my quest for my Messier certificate from the Astronomical League. During the day at many a star party, I would peruse my little companion for the objects I intended to bag after dusk. I read the “basic data,” “NGC description,” and “visual appearance” for each of the 110 Messier objects. I studied the black-and-white photographs and, sitting at my telescope after dark, I compared what I saw to the drawings made by Mallas. Users of small telescopes will get the most benefit from The Messier Album. Mallas used a 4-inch f/15 Unitron refractor for his observations and his drawings offer an accurate view of what can be seen through a smaller aperture scope by the human eye. Trying to compare an object seen through a small telescope to the fabulous color pictures from light buckets like Hubble is nearly impossible for the novice. 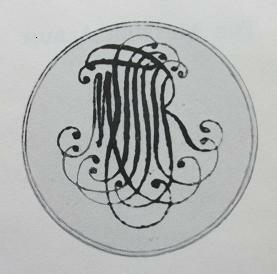 Also included in The Messier Album are essays written by Owen Gingerich titled “Messier and His Catalogue” and “Hints for Beginning Observers,” as well as a checklist, a chapter on Mallas’ and Kreimer’s process, additional reading, and “Messier’s Own Catalogue” which is written in French. The best thing about this little book as an observing aide is that it’s available for as little as $2.38US from Amazon.com. With today’s technology, you can spend hours searching the Internet for lists, photographs, and data about Messier’s objects. I even found an Android app that looks interesting. To be honest though, I’d much rather be sitting at the eyepiece with a red-lensed flashlight and my little book in hand. Commencement time at my alma mater, the University of Arizona (UofA), always brings to mind my wonderful tenure in Tucson. It also reminds me that there are not enough women in astronomy and planetary science; all of my professors in these subjects were men. Today I would like to highlight the women faculty members of the Lunar Planetary Lab at the UofA. You can click on each name to be directed to their web site for more information about their research at the UofA. Caitlin Griffith – Professor, Planetary atmospheres. I had the pleasure of hearing her at one of several talks given by the department on current research about Titan. Something you may not know is that she was in Thailand during the 2004 Indian earthquake. Renu Malhotra – Professor, Solar system dynamics. Ilaria Pascucci – Assistant Professor, Planetary formation and evolution. Tamara Rogers – Professor, Planetary atmospheres. Elizabeth Roemer – Professor Emerita, Comets, minor planets; astrometry. Marcia Neugebauer – Research Scientist (Adjunct). Her website at the UofA is limited, so check out the UANews article Physicist Honored for Discoveries About the Sun and Wikipedia here. Elisabetta Pierazzo – Lecturer (Adjunct). Her website at the UofA is limited, so please check out her page at the Planetary Science Institute. Elizabeth P. Turtle – Assistant Research Scientist (Adjunct). Again, she has a limited website at the UofA, so find out more about her here. I also had the pleasure of hearing Dr. Turtle speak on several occasions, including during my “Mars” class, at the local astronomy club, and other talks at the UofA. She is definitely one of my favorite women astronomers. And, because I just can’t help myself, I noticed that out of the 52 individuals listed on the faculty index at the Lunar Planetary Lab, there are eight women, a mere 15.38% of the total. Is there a problem there? I don’t know. What I do know is that in the majority of the classes I attended, the ratio of women/men students seemed to be fairly even. While writing this blog, I also searched the web for additional information on these women. The lack of biographical information is, to say the least, discouraging. Why? Because they are doing tremendous work in an exciting field and they are role models, yet even today their stories are not readily available. It seems to me that this could be a core issue with the problems surrounding girls and STEM. Any thoughts? 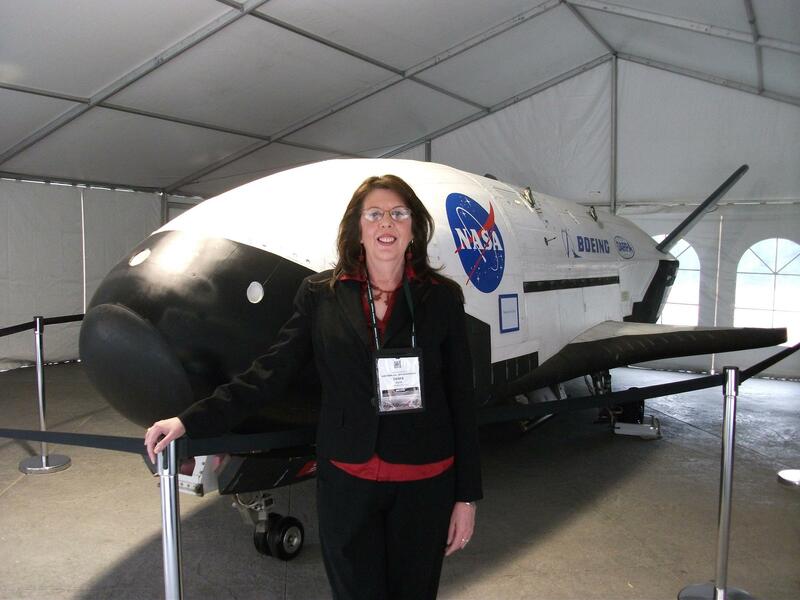 Debra Davis standing in front of Boeings X-37B Orbital Test Vehicle on display at the 27th National Space Symposium. This week the 27th National Space Symposium, sponsored by the Space Foundation and held at the luxurious Broadmoor Hotel in Colorado Springs from April 11-14, gathered industry leaders from across the globe to meet and “explore the most important – and timely – issues confronting [the space] industry” and the future of space exploration. After following the first two days of the conference on Twitter (#NSS27), on Wednesday I decided to drive the 77.3 miles south to do some exploring of my own. Upon arrival in the early afternoon, registration was the first order of business since no admittance was allowed without a badge. With my media credentials proudly draped around my neck, I marched to the exhibit hall to begin my exploration. Stepping into the Boeing Exhibit Center North, seeing 70 exhibitors of everything space related, sent me spiraling into the biggest space-rush of my life. All the major players were there: NASA, NOAA, ATK, Ball Aerospace, Boeing, Lockheed Martin, Northrop Grumman, Pratt Whitney Rocketdyne, Raytheon, SpaceX, and many, many more. The flashy exhibits showcased shiny corporate logos surrounded by images of all manner of spacecraft amid the backdrop of space. OMG! Astro-awesome! OMG! Squee! Squee! OMG! OMG! OMG! There’s really no better way to describe what lay before me. I took a deep breath and walked down the first aisle. I stopped by any booth in the large exhibit hall where a woman was standing. (You know my agenda. It’s what I do and with whom I wish to speak.) I had a lovely conversation with the communications director of a firm that designs and manufactures aircraft engines and space propulsion systems. She told me of the role her organization has had in “manned” spaceflight. I leaned in and suggested to her that she should say “human” spaceflight. We chatted a while longer and at the end of our conversation she acknowledged that she should be better at saying human spaceflight. That one comment made me feel that my trip was worth the gas, and I’m sure she will follow through. My favorite exhibit was the 1/3 scale model of a space habitat from Bigelow Aerospace. One reporter tweeted, “The girl in me thought it was basically the coolest dollhouse EVER.” I have to agree. The thought that this model represents housing for future spacefarers made my skin tingle. We live in exciting times and the commercial space industry promises an exciting future. That future is not without its challenges. Several people I spoke with are concerned with what is perceived as a current lack of direction and purpose within NASA, their largest client. Many are concerned by the final two Space Shuttle missions looming on the horizon and no clear plans for future multi-purpose crew vehicles or space launch systems. I got the sense that many are asking in their corporate board rooms, “What’s next?” As an outsider, I look forward to seeing what that “next” is. The general crowds at the conference were mostly men, as were the hosts behind the exhibit booths. The commercial space industry needs more women as is simplistically evidenced by the gender disparity in speakers at the 27th NSS. Space exploration is a human endeavor. I have concerns that the commercial space industry will, though unintentional, leave women behind or, even worse, that women won’t even consider a career in this exciting and out-of-this-world industry. So, my mission to encourage women to pursue careers in STEM (science, technology, engineering, mathematics) fields continues, especially anything related to space. 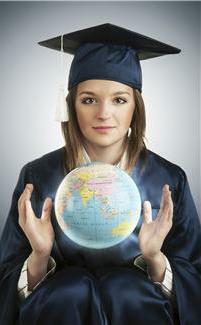 Space is fun and getting a solid education in STEM subjects may get you a career in the commercial space industry. Study on! And I hope to see you at the 28th National Space Symposium. "Women hold up half of the sky."